I guess I am the only host who is so late for her own event. A very hectic work schedule left me with zero time for any other activity. I don’t have enough words to express my apologies. Thank you for bearing with me. Dates..Good Old dates…Sweet, sometimes sticky and loaded with nutrients. In my grandma’s village, once a week, a scrap vendor used to come and you get dates in exchange for any scrap piece of metal…That’s cool, isn’t it? Apart from muching on dates now and then, I normally tend to make a milk shake using dates and banana. It’s an instant energy booster. Warm the dates for 10 secs or so in the microwave or soak them in a little hot water for 10 mins. This helps to soften the dates. Blend the dates first till smooth and then add the rest of the ingredients and blend again. 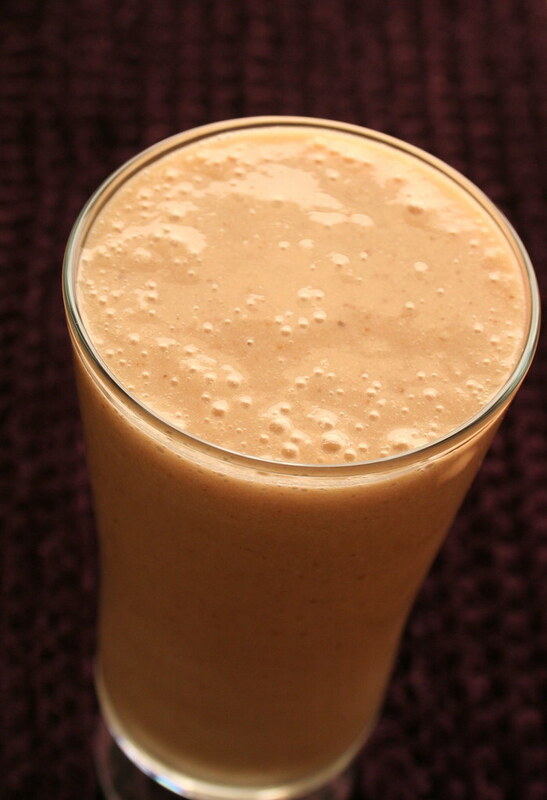 Increase the quantity of dates for a sweeter shake. You can omit the ice cream and make the milkshake with milk alone. Dear friends, I will post the AFAM-Dates roundup in a day or two. OK..without any further ado, let me get to the recipe quickly..I am already late for JFI-Toor Dal event hosted by Linda of Out Of the Garden and started by our beloved Indira..
Roast the dal and rice seperately till the dal is very light brown and the rice becomes opaque without turning brown. Grind together the rice and the dal using a spice grinder/coffee grinder or a blender to a fine rawa consistency. 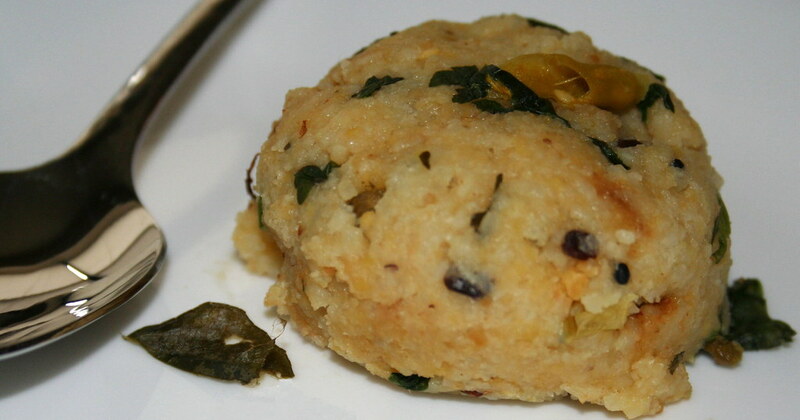 Using a pressure pan/cooker to make the upma is a fast way. But you can use a normal saucepan too. Heat oil in a saucepan/ pressure cooker and when it is hot, add the items listed under seasoning. Next add the green chillies and hing and fry for a couple of secs. Next add water, coconut, turmeric and salt. When the water comes to a boil, reduce heat and stir in the rice and dal rawa. Keep stirring to avoid lumps. If using a pressure cooker, cover and let it cook for 2 whistles. If using a saucepan, cover and cook on a low flame till the water is absorbed and the dal is cooked through. Stir in chopped coriander and remove from heat. Serve hot with peanut or coconut chutney.